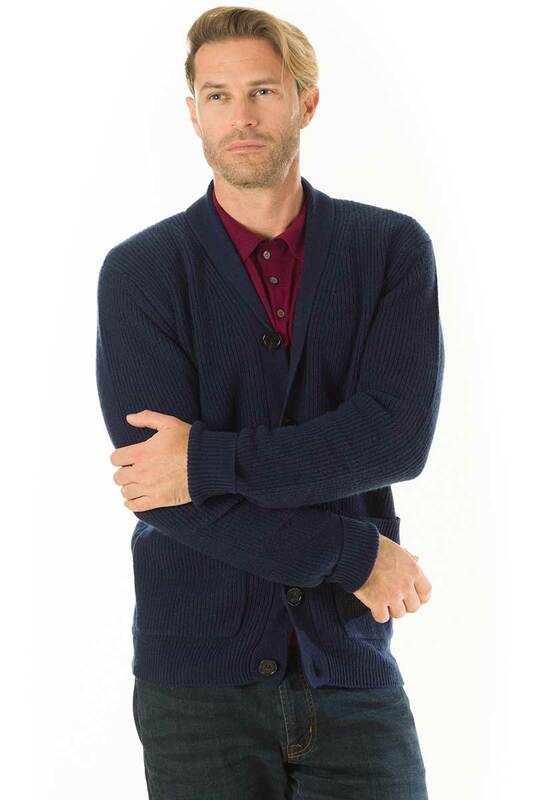 Switch your blazer or jacket, for this luxury shawl necked cardigan. 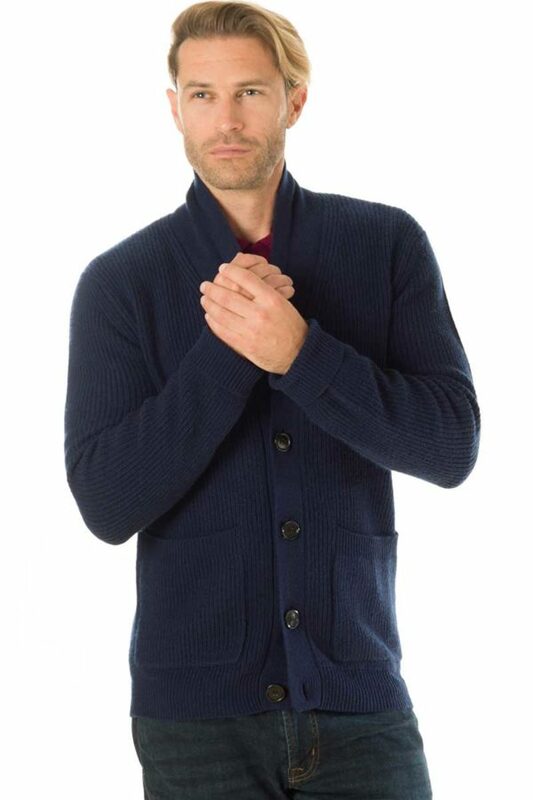 Knitted from fine merino wool and soft cashmere, this superb shawl neck cardigan is perfect to layer up. 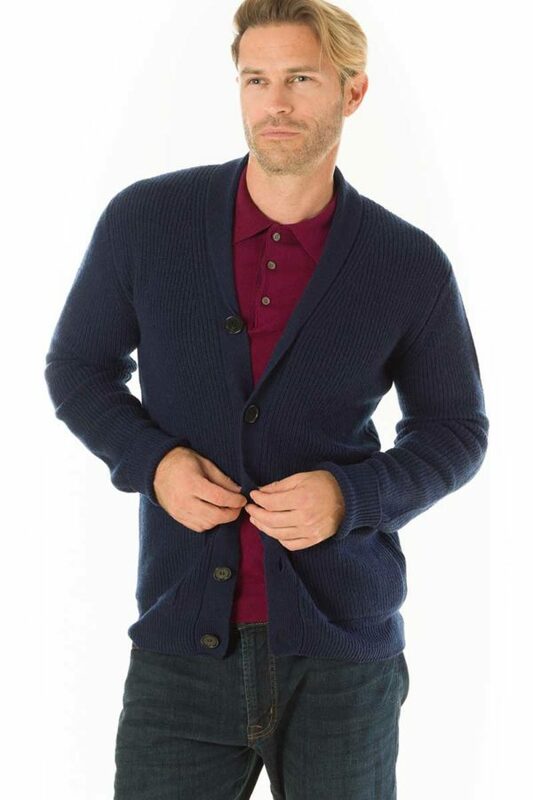 This slightly oversized cardigan is the ideal piece to replace a coat or jacket. It is versatile enough that it can enhance a look for a smart appearance, or casually at the weekend with jeans, or even with a pair of relaxed fit cargo pants. 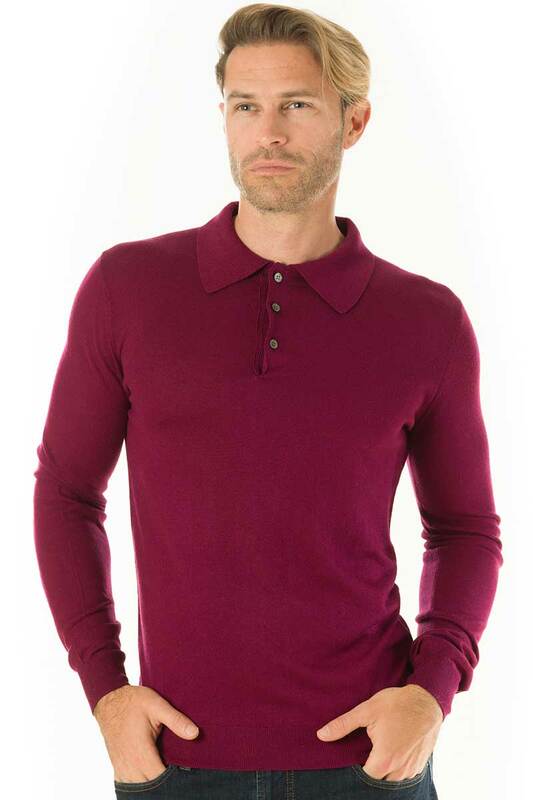 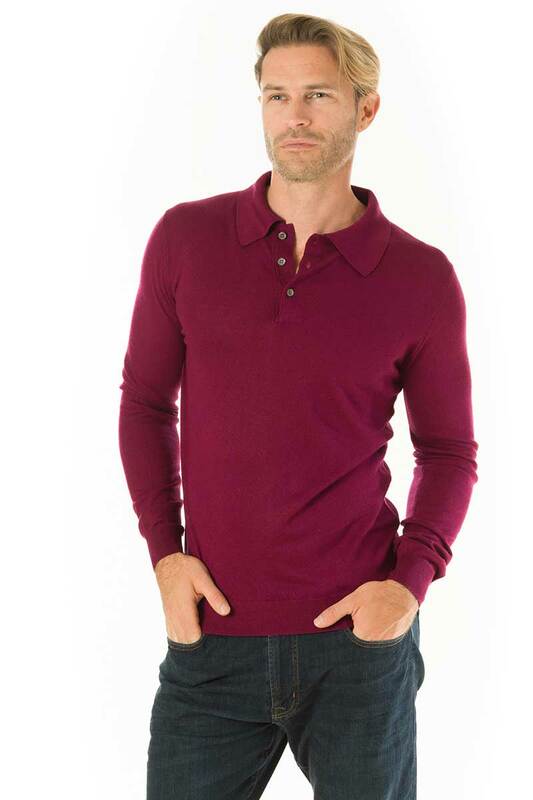 Layer them over a one of our Cascade polo shirts, or switch it for a t-shirt for that more relaxed weekend style. 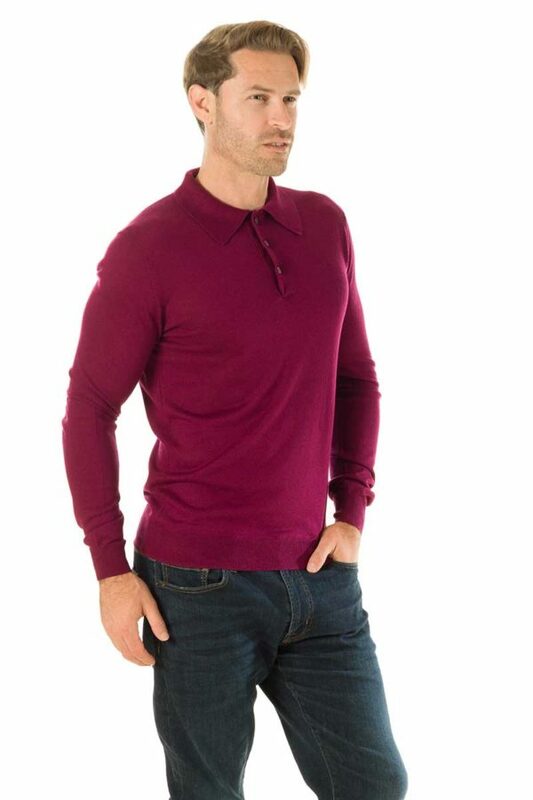 Great worn with jeans and dark boots. 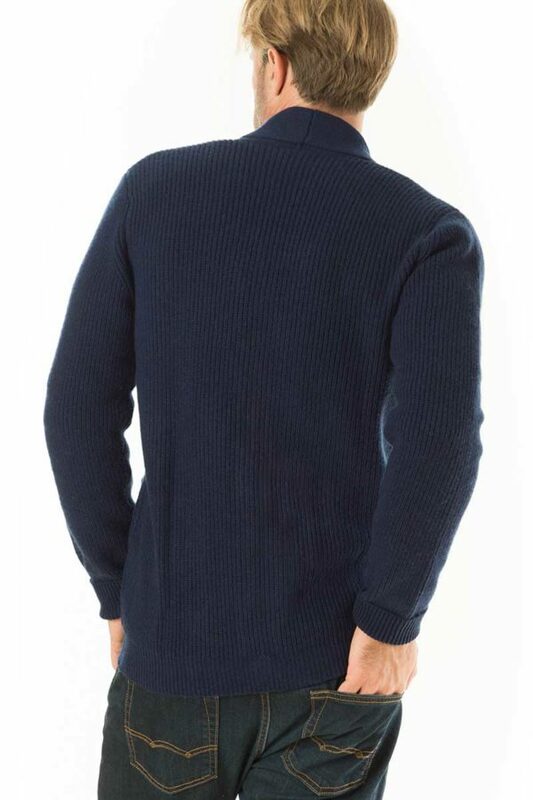 With a ribbed finish, two pockets, and elegant real horn buttons. 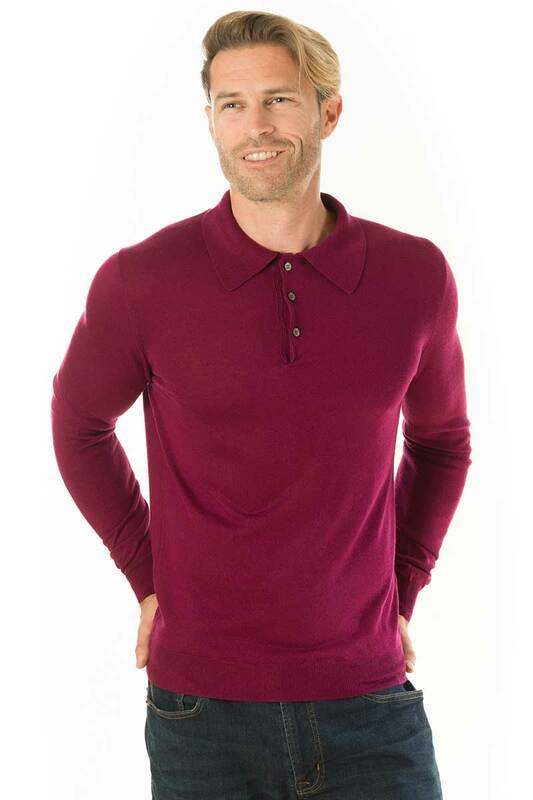 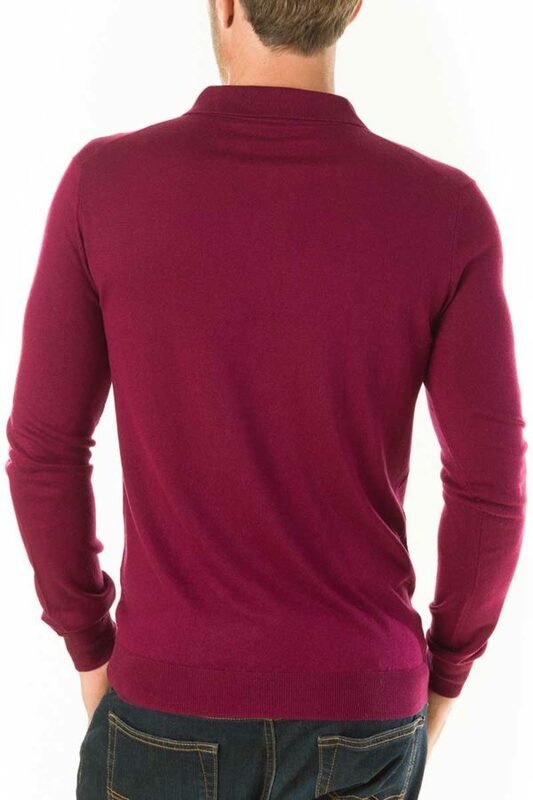 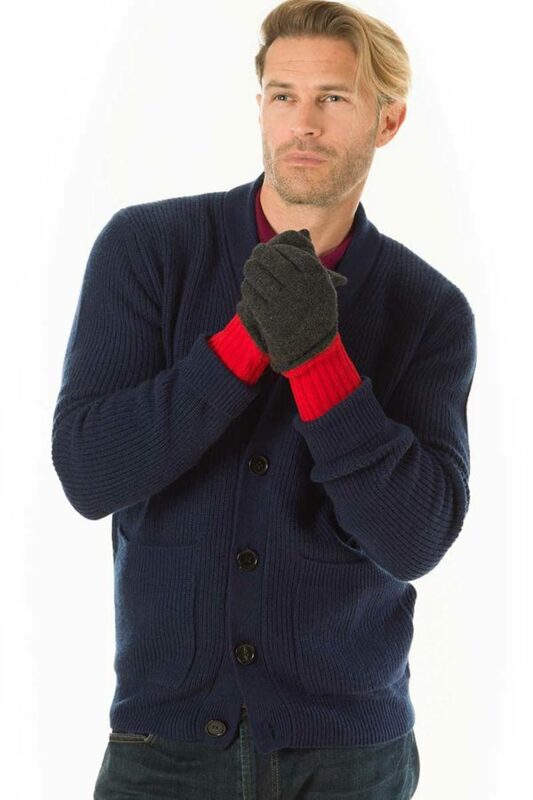 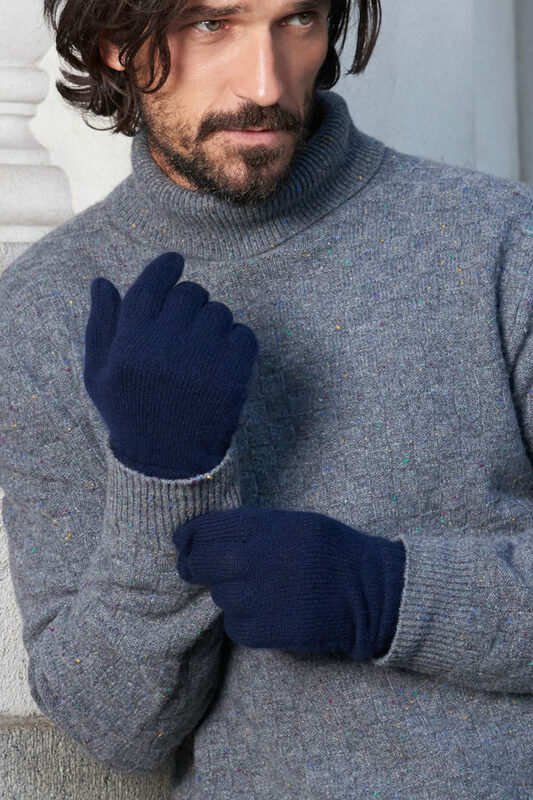 Model wears a M. He is 6’0″, and a 40″ chest. . Small – 36″/ 38″, Medium – 40″, Large – 42″, XL – 44″ chest.